Kick off 2015 with these actionable training tips that will reset your martial art’s focus and help you live your best martial art’s ever. 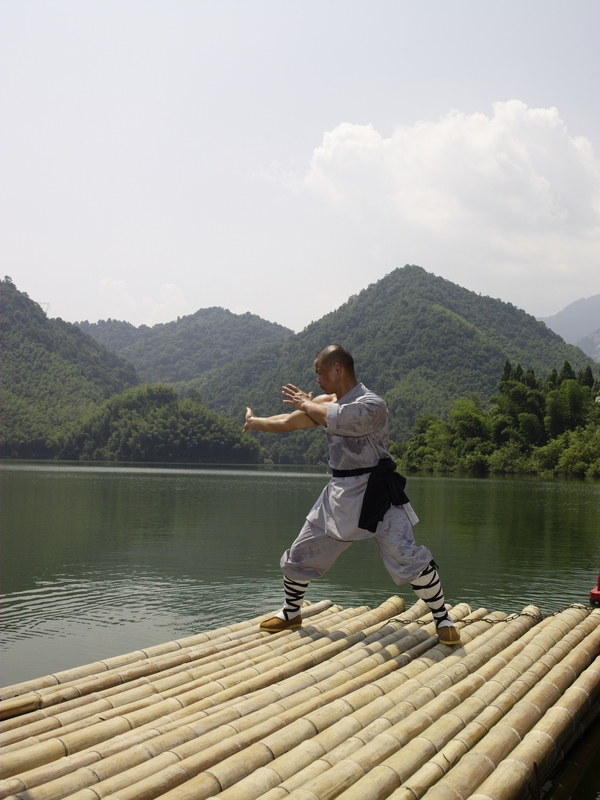 Make A Goalless Goal Shaolin Training doesn’t underestimate a person’s strength of body and mind. The masters knew how much we could achieve and they wouldn’t let us get away with anything less. 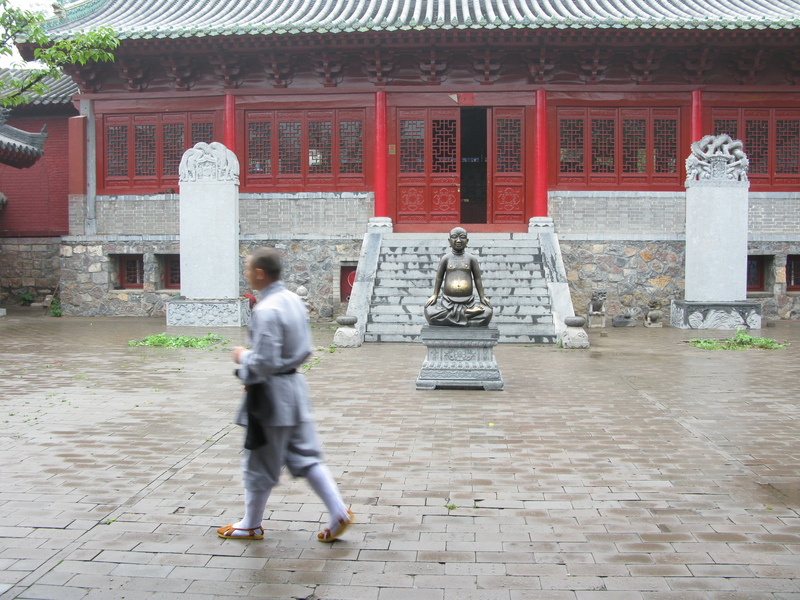 The first goal young disciples have when they come to the Shaolin Temple is “Never Give Up“. Once that statement is made, it’s like sitting on a plane and knowing the destination is Beijing. We don’t need to think anymore about where we’re heading. Our mind is no longer caught up thinking maybe I should head to Chicago or London instead. There’s no way we can get off the plane, so we let go and focus on the journey. The goalless goal is away of simplifying our life. Just Do It Forget willpower, it runs out. That’s why it’s important to train at least 4 times a week and if possible at the same time. Training like this changes the neural pathways in the brain and makes training a habit rather than something you have to make yourself do. Do you need to make yourself brush your teeth in the morning? Sharpen Your Knife Shaolin Training encompasses the fitness of a fighter coupled with the internal training of a Zen master. 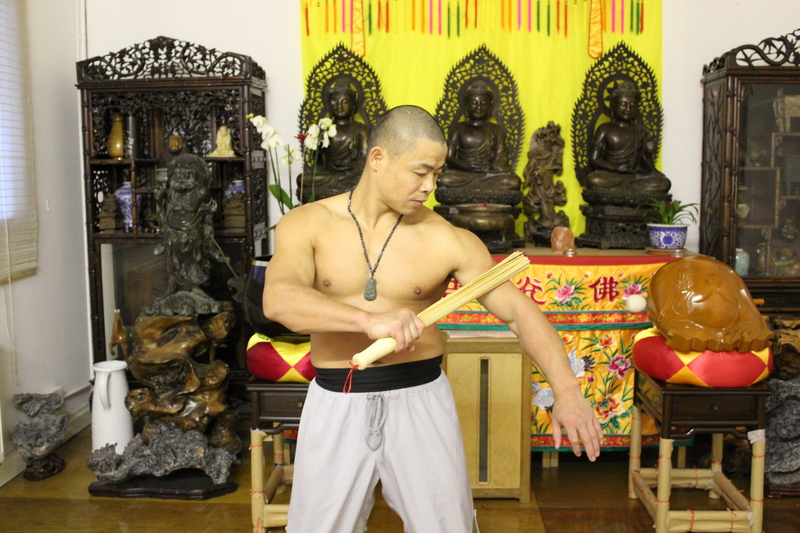 You’re not training in Shaolin if you don’t train both Qigong and Kung Fu. If you do another martial art, you still need to train in both of these in order to balance your body and prolong your martial art’s life. A professional cook must sharpen her knife in order for it to be functional. Qigong is the sharpening of the knife. Kung Fu is the knife being used. 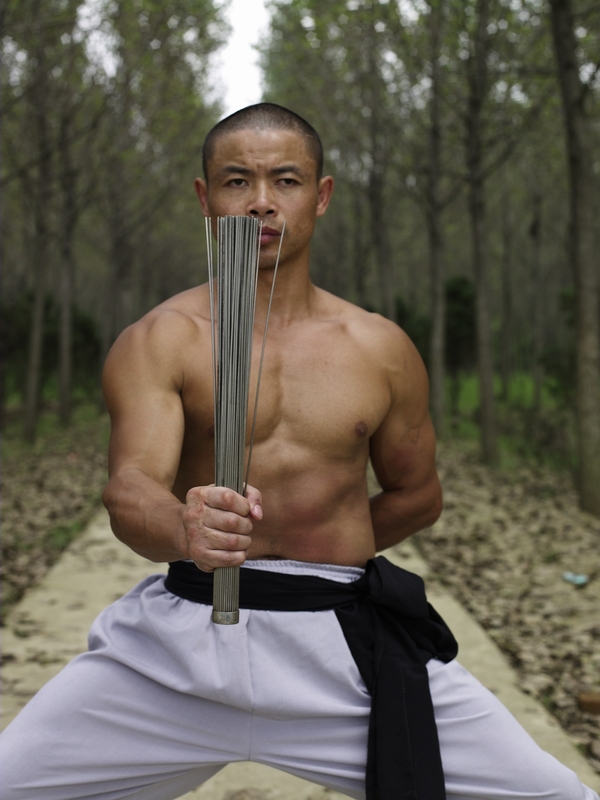 High Intensity Training High Intensity Training has been used by Shaolin Martial Artists for hundreds of years. Research has shown that high intensity training is a more effective workout than longer moderate workouts. Not only that but high intensity training is the only way to keep your metabolism high for several hours afterwards which means you keep burning calories. Moderate exercise doesn’t do this. Get Bored In order to perfect your martial art you need to repeat the same movement thousands and thousands of times. Don’t allow pride to get in your way. Practice the movements that challenge you and you find the hardest. You have to work hard, often, and consistently in order to see results. 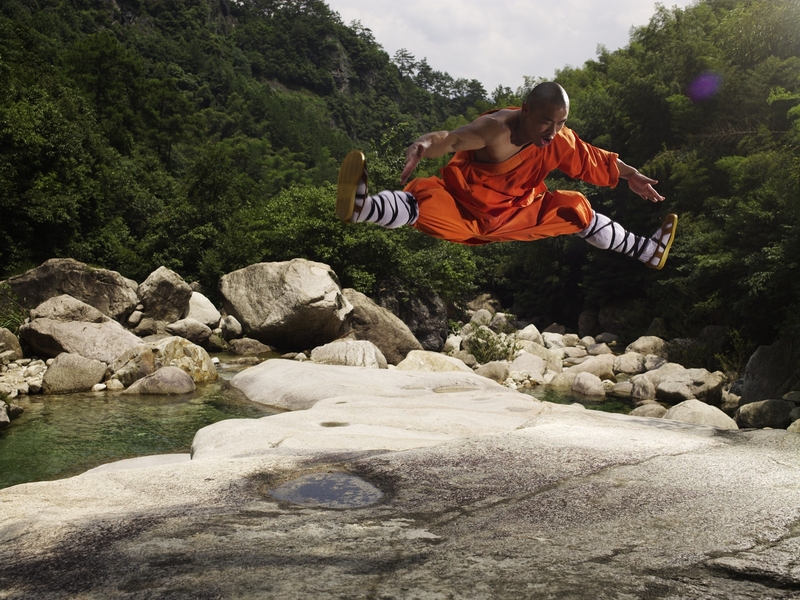 Stretch Dynamically Why are Shaolin monks so flexible? Because we do two types of stretching: static and dynamic. 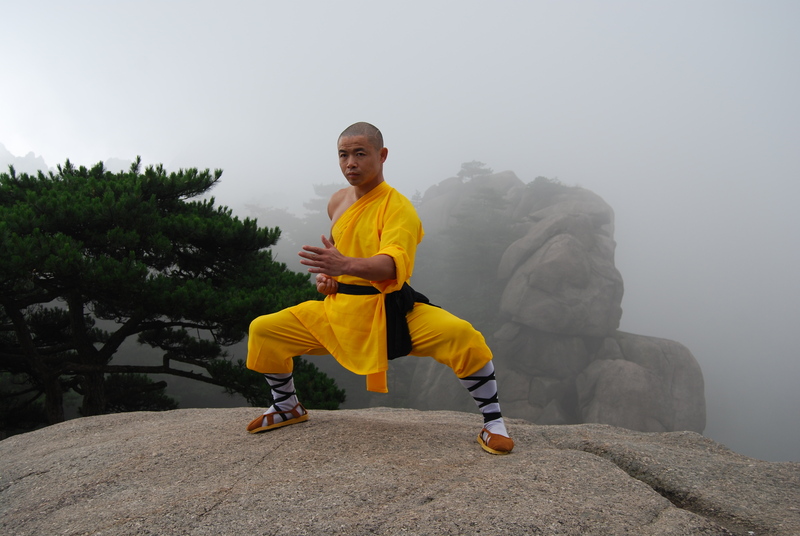 The Shaolin dynamic stretching we do are the five basic kicks, and the five stances from Shaolin Workout 1. This opens the hips and warms up the leg muscles. When our muscles are warm we then statically stretch our legs. A flexible body is a relaxed body, centered and more in tune with itself. Flexibility improves posture, makes training easier and helps the Qi to flow around the body. Be A Disciple Of The Bodhidharma The Bodhidharma gave us a roadmap with clear instructions as to how use martial arts as a meditation. Each person who learns from me, either in person or with my DVDs and downloads is a student of the Bodhidharma. In the West we tend to over complicate things. My master never allowed me to do this. Coming from a Zen Temple meant I wasn’t allowed to ask my master many questions because if he gave me answers then they would be his answers and this would cloud my direct experience. Keep your training simple. Combine Qigong with Kung Fu. Focus on your breath and your movement. Don’t over complicate. Don’t judge yourself or others. Just do it. This means you a disciple of the Bodhidharma. This means you are training in Zen. 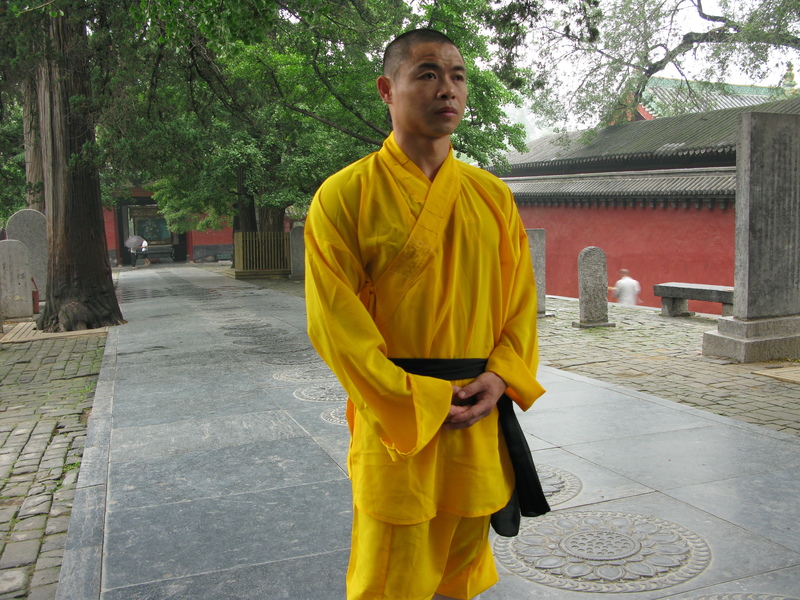 Shifu teaches a graded Shaolin path, you can learn from his books, DVDs, and downloads. He designed his Never Give Up t-shirt to help you stay motivated on your Shaolin Path. Share your experience in the comments below or on Twitter. What’s your daily workout like? My training day starts with either a 10 or 12k jog or interval running, sprinting 800 meters then resting for 800 meters and doing this 4 times or varying my runs like I show in my youtube video. I then do circuit training, the same as on my DVDs though I mix the punches and kicks together. It’s important to sweat when you’re training. Only this is true training. In the afternoon I do bag work, and pad work if there’s someone at the temple to hold pads. I finish off with Iron Shirt Qigong and combine Iron Shirt conditioning with the Instant Health Massage using a metal brush so that I cleanse my bones. Can the average person hack Shaolin training? Shaolin is for everybody. Of course the average person doesn’t have 4 hours a day to train but a lot can be accomplished in one hour five days a week. This is enough to be healthy and fit. If you’re not close to a school and train from my DVDs then all you need to do is define your goal and make a program. The best DVDs for fitness are the Bootcamp and Circuit Training DVDs but you need a level of fitness before you can embark on them. Like all things, take one step at a time. 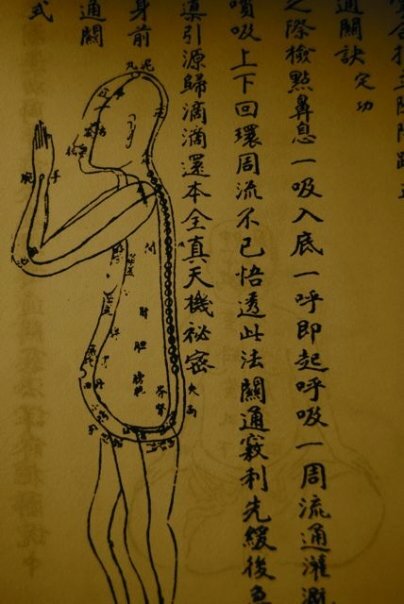 Most people have no desire to do hard Qigong but they have a desire to have more energy and increase their longevity so they do Eight Treasures. 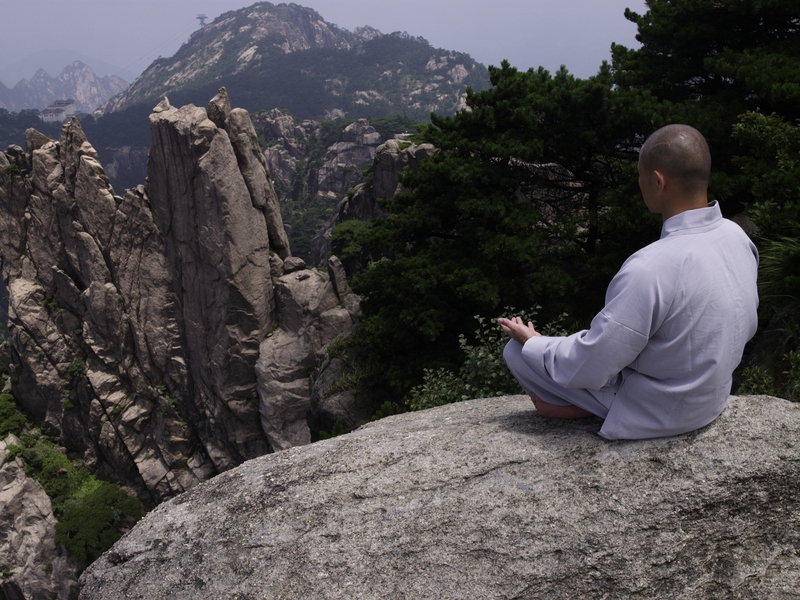 You’ll talk about the Shaolin Monk’s diet in another post, but how important is diet to you? The more you do Shaolin martial arts, the more you tune into your body and the harder it is to eat badly. If you’re craving unhealthy food, don’t worry about it, start working out the Shaolin way and the cravings will go away of their own accord. Before I train I eat a lot of noodle and vegetable with some meat then a banana, which is a great thing to eat before training as it helps to keep sugar levels up. We don’t use ovens in China but something new I’ve discovered in the West is roasted sweet potato. Very healthy and a better carbohydrate than potato. I eat fruit and nuts through out the day. I tend to cook two days food in advance so when I come home and I’m hungry my food is already prepared. How focused are you on Buddhism and Zen meditation? I’m a simple person. I feel that many Western people read too many books and this makes their mind complicated. My master gave me one sutra, The Hui Neng Sutra and he told me not to sit in meditation but to make training my meditation. Zen is about experience, not knowledge. When people do kung fu or Qigong forms, they get a taste of this Zen experience and then there are no questions. The important thing is not to look outside, but work with where you are and what you have here and now. There’s no need to go to the temple, the temple is right here and now. But you need to be still to find it. Also available on the apple store and amazon as a kindle. (USA only, UK to follow in 2015). Shifu Yan Lei teaches Shaolin Kung Fu available as a download and DVD.